Water shortage is one of the big challenges that faces the world in general and Iraq in particular and this came as a result of the severe decrease in the Tigris and Euphrates water inflows and the deficiency in snow and precipitation quantities. Iraq depends on the surface water significantly and most of its resources are from Tigris, its tributaries and Euphrates rivers. The three riparian countries (Turkey, Syria and Iraq) share these two rivers and each one of them has its own plans to utilize these rivers. Thus, a trilateral coordination is needed to specify water allocation for each of these countries. First: Climate change and global warming have led to a severe decrease in snow and precipitation quantities and also to an obvious decline in flows on the Tigris and Euphrates rivers. The whole process led to dryness, which involves not only Iraq but the Middle East countries as well. 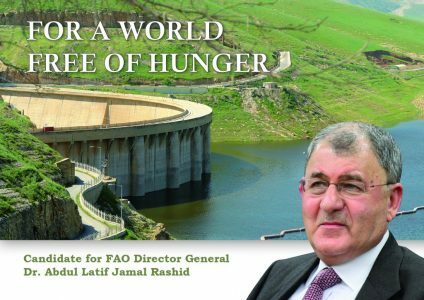 The second and most important factor is: actions by the riparian countries (Syria, Turkey and Iran), i.e. the operational plan adopted by these countries with regard to water resources. Such plans enable these countries to control water inflows stored in the dams constructed on the Euphrates River inside Turkey and Syria. As for the Tigris River, Iran has constructed a number of dams on its tributaries and this has affected some of these tributaries. Iran has also diverted the watercourses of Karon and Karkha rivers from flowing into Shatt Al-Arab. In our meetings with officials from Turkey, Syria and Iran we usually focus on securing and increasing necessary quantities of water resources into Iraq and work to ensure a fair long-term partnership in water according to agricultural lands expansion and population growth. Exchanging hydrological information to know more about these countries future and strategic plans regarding constructing water structures on Shard Rivers were part of our focus of attention. It is necessary to obtain Iraq`s approval to the operational plans of future projects on the Tigris and Euphrates rivers before commencing on the construction as they affect water quality and quantity. The third factor: is related to water management in Iraq. Due to the previous negligence for water resources and the absence of clear plans, most of our projects have become in need of maintenance and development. Today, there are more than 120000 km of canals and main; secondary, collector and field drains are in need of maintenance, in addition to a large number of pumping stations. In the last few years, technical scientific and economical specifications have been adopted to tackle the problem of waterweeds and pollutants spreading in main and Branch Rivers. We are using modern irrigation methods like, sprinkler and drip irrigation and canals lining to utilize water in a better way. In spite of the difficulties faced in studies, designs and surveys, the Ministry has taken a number of good steps in dams construction, irrigation canals lining, rivers and water courses dredging, dams and hydraulic structures maintenance- such as maintaining Mosul Dam and executing the Main Outfall Drain to collect the drainage water from wide areas in the middle and south of Iraq in addition to other important and strategic projects. It is worth mentioning that surface and groundwater form the main resources for water in Iraq. Surface water includes Tigris River and its tributaries and most of them originate outside Iraq, Batman and Karzan (the main tributaries of the Tigris River) originate in Turkey. A number of tributaries constituting the main part of Tigris river resources flow into the left bank of Tigris River. In addition some of border rivers with Iran which either flow into Tigris River or into the marshes. Euphrates River, which constitutes part of the surface water, has two branches (Furat Su and Murat Su) originate in Turkey. Sajoor tributary flow into the Euphrates River on its right bank when it enters Syria, Blekh and Khabour tributaries flow into its left bank. Shatt Al-Arab formed by the confluence of the Tigris and Euphrates Rivers and has two tributaries (Karon and KarKha) both originate in Iran. Groundwater storage constitutes limited quantity of water that can be exploited for drinking and agriculture purposes, and especially in areas far from surface water resources. The wastewater resulting from agriculture, industrial and civil uses are the main source for river pollution due to increasing the salts rate and heavy elements in addition to bacterial pollution. The vast and rapid development on the Euphrates River by countries on the rivers upper reaches (Turkey and Syria) led to water quality deterioration. 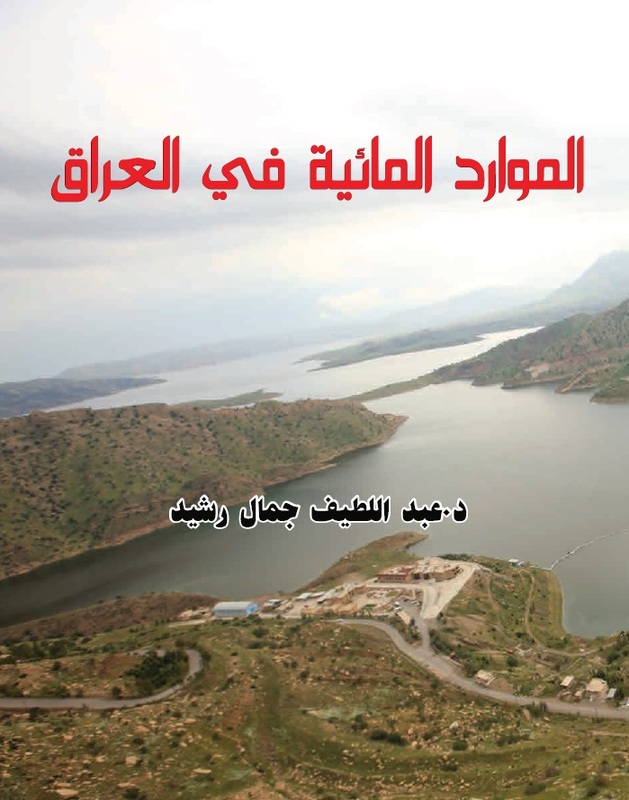 The Ministry future expectations affirm that the Euphrates and Tigris Rivers, upper and lower Zab, Al-Udhaim and Diyala Rivers will be greatly affected by the construction of dams. As a result of the construction of dams, storage projects and agricultural land expansion by Turkey, Syria and Iran, salinity ratios in Tigris and Euphrates rivers will be doubled more than it was in 2006. Iraq’s geographical position as a downstream country makes it impacted by actions of countries located at the rivers upstream and consequently affecting the quantity of Iraq`s water inflows. Since the beginning, Iraq has done every effort to resume dialogue with neighboring countries. Accordingly, several bilateral and trilateral ministerial and technical meetings were held to discuss issues related to transboundary water in order to reach an agreement to ensure Iraqi’s allocation of water share according to international treaties and conventions. 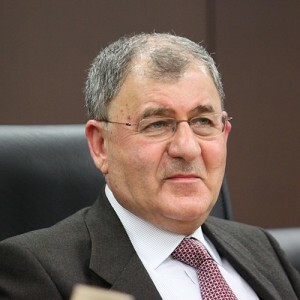 During the international conferences and conventions, Iraq in a continuous manner called on the development of the international laws and agreements that organize the work in water-related sectors especially that related to equitable water shares, pollution in watercourses and biodiversity which need to be approved and adopted seriously for implementation. Iraq has increased its political and diplomatic efforts to convince Arab countries to give their approval to UN agreement of 1997 regarding the use of watercourses for non-navigation purposes. According to article 35 of the agreement, 35 countries have to give approval to this agreement in order to enter into implementation. Until present, 16 countries only gave their approval and they are: (Iraq, Jordan, Lebanon, Libya, Qatar, Syria, German, Finland, Norway, Hungaria, Netherlands, Sweden, Portugal, Uzbekistan, South Africa, and Namibia). The other 6 countries (Yemen, Tunisia, Paraguay, Venezuela, Ivory Coast, and Luxembourg) signed the agreement but have not approved it yet. This Agreement is a good example for all previous legal jurisprudence related to transboundary water. Through the work of the International Law Committee in session No. 99 on 21, May 1997, all member countries in the United Nations and non members participated in formulating this law since 1970 until the date of its approval. 103 states approved the law, 27 states abstained it and the other 3 states declared their objection. In this way, the “Customary International Water Law” becomes a comprehensive agreement between the countries that share the same transboundary rivers with taking into consideration watercourses diversity, geographical and environmental conditions which distinguish an international watercourse from another. The recourse of law to such a comprehensive agreement has provided the riparian countries with all principals and general laws that govern the use of international water courses for non-navigational purposes. It also provides them with guiding principals for negotiation on the coming treaties and conventions. 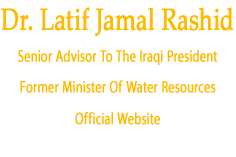 Iraq affirmed the importance of: 1) The international cooperation between countries to mitigate the impact of water shortage and competition on water. 2) Cooperation and promotion of the dialogue to solve the problems resulting from current and future water shortage 3) Finding active methods to manage the shared water after reaching a fair allocation of water between the riparian countries 4) Constructing a regional system for water management 5) Using active and modern plans to utilize water resources to avoid the future problems. 6) Exchanging hydrological and climatic information between the riparian countries through constructing water basins management systems and exchanging the current operation plans of the constructed dams and future projects on Tigris and Euphrates. We have a good relationship with neighboring countries and we are making every effort to exchange information and experiences regarding operational plans, technical information and solving all outstanding problems to ensure Iraq's rights in having an equitable water shares. The Reconciliation Treaty between Turkey and Allies in Lozan on 24th, July 1923. In its article no 109, this treaty stated (the Necessity to protect the acquired Rights of Syria and Iraq in the water of the Tigris and Euphrates Rivers). A treaty between Turkey and Iraq issued on 29, March 1946. Protocol No.1 annexed to this treaty included provisions to arrange the utilization of Tigris and Euphrates Rivers water. The Economical and Technical Protocol between Iraq and Turkey in January 1971, Article three of which stated the following (The Two Parties Discuss the Problems Related to Joint Water). A Protocol between Iraq and Turkey in 1980 to which Syria joined the Protocol in 1983. The Protocol stated organizing a Joint Technical Committee for the Regional Water between Turkey, Syria and Iraq which aimed at studying issues related to regional water especially Tigris and Euphrates Basins. Agreement between mandatory countries England and France on behalf of Syria and Iraq on 23, December 1920. Article three of this agreement stated “The formulation of a committee to study any Syrian project which could increase or decrease the inflow of Euphrates River into Iraq at the border between Syria and Iraq”. Agreement of April 17, 1989 signed between Iraq and Syria for dividing Euphrates River water flow at Syria-Turkey border so that 58% of this flow goes to Iraq and 42% goes to Syria. This protocol was signed in 1913 between Iran and Ottoman through England and Russia included delineating the borders between the Ottoman Empire and Persia. After submitting a conflict case between Iraq and Iran to the League of Nations Agency in accordance with Astana Protocol of 1913 and the minutes of meetings of the Committee for Delineation of Borders in 1914, this agreement was cancelled and unrecognized by Iran in 1969. This agreement was reached between Iraq and Iran called Algiers Accord, which stated: “conducting comprehensive delineation of land borders between Iraq and Iran and the marine borders of Shatt Al-Arab and to organize beneficial use of rivers crossing the borders of these two countries based on what was stated in Astana Protocol of 1913 and the minutes of the meeting of the Committee for Delineation of Borders in 1914. This agreement was cancelled by Iraq when Iranian Iraqi wars started in 1980. Due to the importance of water shortage issue that the country is currently going through, some of Mass Medias issued a number of declarations lacking accuracy and objectivity in conveying the correct information on water situation in the country and this may lead to a misunderstanding during the current water resources situation. The Mass Media should be accurate in issuing such declarations and they should coordinate with the Ministry of Water Resources as it is the steward of water resources and it can provide them with accurate information, statistics and numbers related to water situation. For its part, the Ministry has carried out a number of activities to improve the water resources condition and treat the water shortage that the country is going through during the current and previous years. The Ministry worked hard to 1) Plan for the typical investment of water resources in Iraq 2) Bring modern irrigation methods such as sprinkler irrigation and drip irrigation 3) Use the Geographical Information System (GIS) to develop the Ministry technical and administrative sector 4) Coordinate with water consumer sectors especially for agriculture and drinking purposes 5) Protect surface and groundwater resources from pollution in addition to taking care of the environment and providing the water requirements needed for the implementation of the agricultural plan for winter and summer seasons 6) Focus on land reclamation works to exploit as much areas as possible 7) Construct large and small dams to store water and generate electricity 8) Carry out modern irrigation and drainage networks, controlling structures on rivers and streams, regulators, bridges and irrigation and drainage pumping stations as per the country investment plan 9) Maintain the irrigation projects 10) Study the climate changes in the entire Iraq and the impact of the Greenhouse Phenomenon on the dryness issue. All these activities will lead to improve irrigation, rid agricultural lands from high salinity, improve the quality of the agricultural crops and maintain the water storage of lakes and dams` reservoirs. The Ministry is trying every effort to make a serious policy to avoid water losses in the agricultural lands and ensure fair water allocations for all beneficiaries. In brief, the current water inflows of Tigris River are fewer than the normal ratio of the previous years in which the annual ratio of Tigris River inflows were 19.43 BCM and the total ratio with its tributaries were 49.48 BCM. As for the Euphrates River, the inflows were 30.3 BCM before the construction of the Turkish Gap Project. If we assume that all storage and irrigation projects planned to be carried out in Turkey and Syria will be completed and there is no joint agreement to provide fair water shares for each country, the expected inflows after the completion of Gap Project are estimated to be 8.45 BCM for the Euphrates River and 9.16 BCM for the Tigris River. Furthermore, the current water requirements for various usages are 60 BCM except for that for sustaining the marshes which are 16 BCM. Whereas, the future water requirements are 76.952 BCM.